When a designer takes the reins at a legacy brand like Dior, they must tread carefully between reverence for its archive and a strength in their own vision. Maria Grazia Chiuri has done just that, as Alexander Fury investigated for the A/W17 issue of AnOther Magazine. 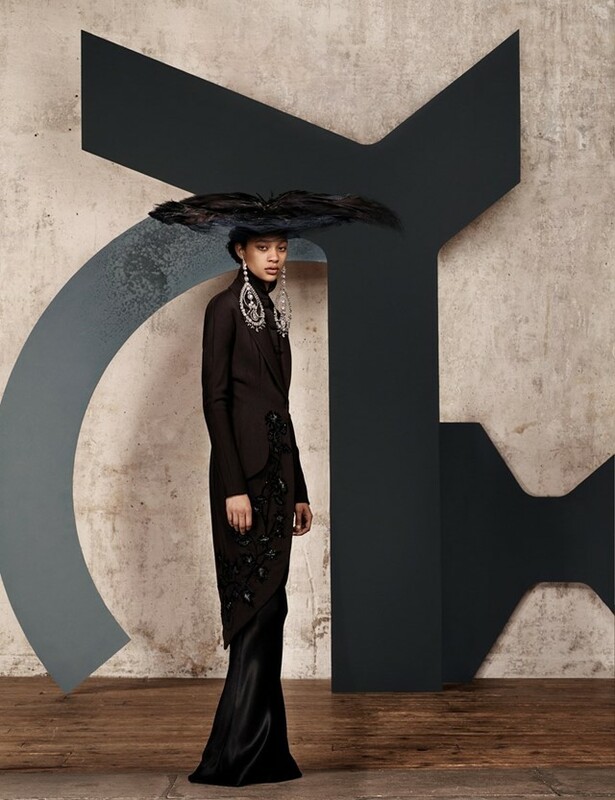 As such, Katie Shillingford and Craig McDean tiptoed through the maison’s archives, teaming Chiuri’s contemporary couture with confections crafted by John Galliano, Gianfranco Ferré and Monsieur Dior himself. Extraordinary to behold, these garments are even more mesmerising to wear, as this film by Craig McDean and Masha Vasyukova attests. “To witness and wear the archival clothing of such an iconic Maison was amazing,” model Jess PW explains. “It was so interesting to see the changes and constants in the clothing throughout each era.” Elfin model Ruth Bell felt the magnitude of these pieces too: “It was very intimidating,” she explains. “I was constantly worried about breaking them. But at the same time it was a huge privilege to be able to put them on after so many years… I felt a responsibility to wear them as well as they were worn the first time. When I wear contemporary fashion I don't feel this responsibility, and I feel as though I can play around and be more creative.” Thanks to Craig McDean and Masha Vasyukova, the poetry and energy these ensembles inspire can be felt again and again. Hair Damien Boissinot at Art and Commerce using René Furterer; Make-up Val Garland at Streeters using L’oréal Paris; Models Ruth Bell at Elite London, Selena Forrest at Next, Jess PW at The Society Management, Kiki Willems at IMG Models; Casting Noah Shelley at AM Casting; Set design Jean-Michel Bertin at Streeters; Manicure Kamel at B Agency; Digital tech Nicolas Ong; Lighting assistants Nick Brinley, Louis Cusy, Henri de Carvalho, Paul Jedwab; Styling assistant Rosie Arkell-Palmer; Hair assistant Kyoko; Make-up assistant Veronick Boumaza; Production Kitten Paris; Post-production Dtouch New York; Special thanks to Hélène Starkman and the team at Dior Héritage.